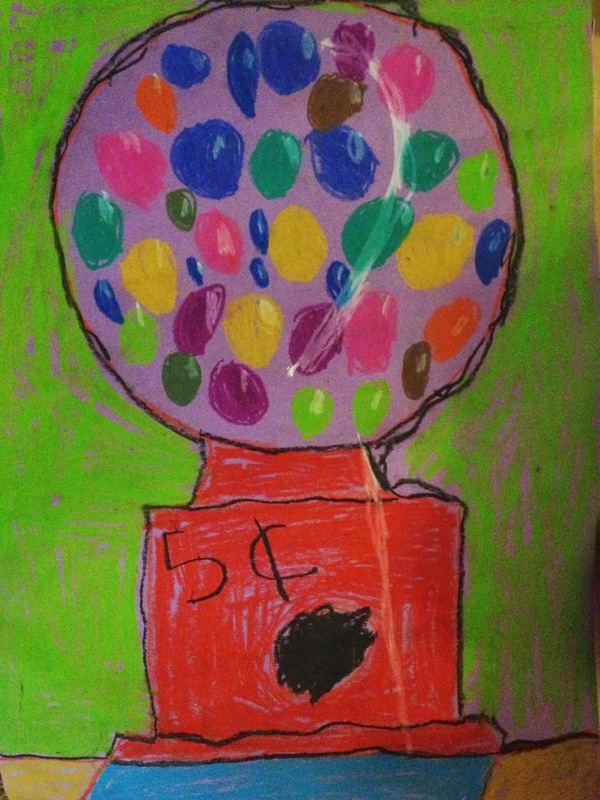 Today, the kids worked on their version of Wayne Thiebaud's gumball machines using oil pastels on purple paper. We talked about reflections and shadows. I think they look so great. YUM.